Swing has never gone out of style. It was the music the Greatest Generation danced to- and went to war to. 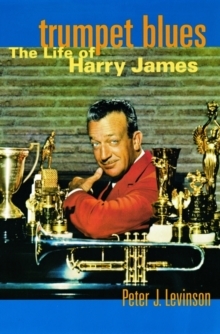 And no musician evokes the Big Band era more strikingly than Tommy Dorsey, whose soaring trombone play and hit tunes influenced popular music for a generation. 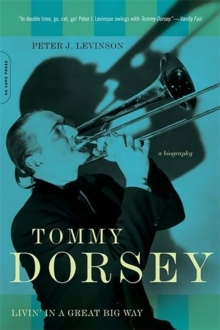 Tommy Dorsey (1905-1956) led a rich and complex life. Beginning with his childhood in the coal mining towns of Pennsylvania, we follow the young trombonist's journey to fame and fortune during the Jazz Age. 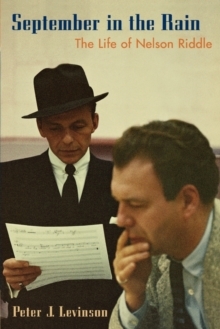 Tommy, with his brother Jimmy, created one of the most popular bands of the era and played with such giants as Bing Crosby and Glenn Miller. They also launched the career of a skinny young singer named Frank Sinatra. But Tommy's volcanic personality eventually split the band and Tommy went off on his own. Drawing on exhaustive new research and scores of interviews with the musicians who knew him best, Levinson delves into Dorsey's famously eccentric lifestyle and his oversize appetite for drink, women, and perfection. The first biography on Dorsey in more than thirty years, Tommy Dorsey is a dazzling portrait of the Big Band's brightest star- his tumultuous life, his turbulent times, and the unforgettable music that made him a legend.